Not Rated Footwear gifted me with another amazing pair of shoes that are super cute to style all year round. 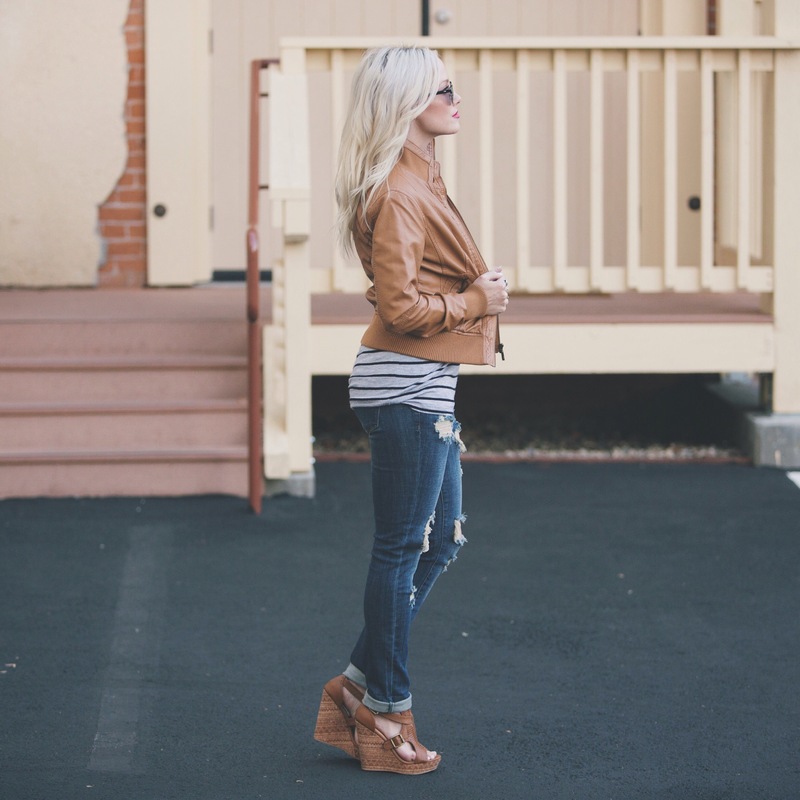 Who says you can’t wear wedges in the fall? 🙂 I am in love with the detailed print on them. 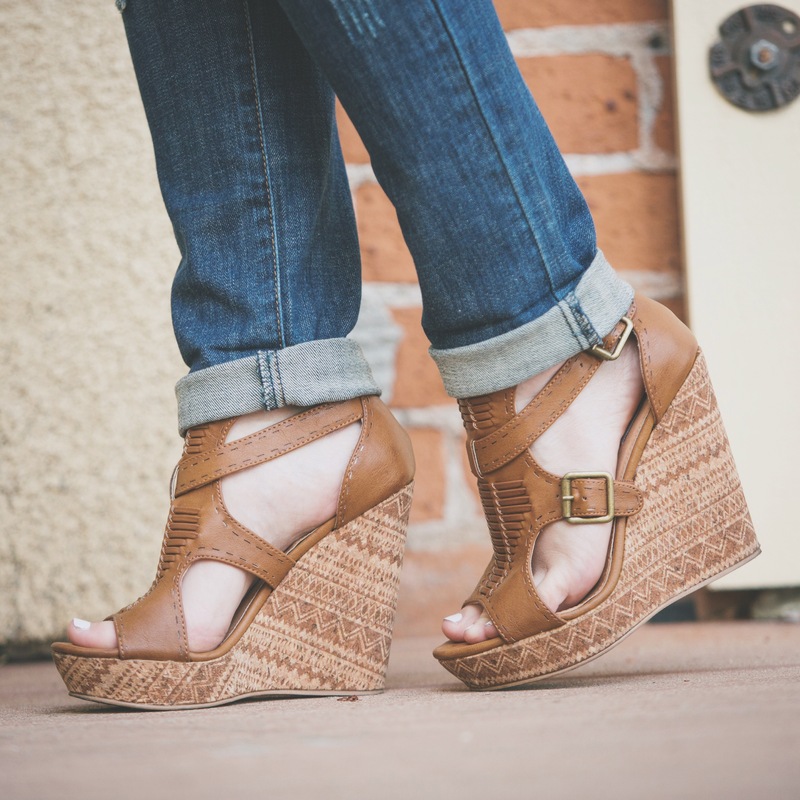 These unique and stylish wedges are called “Two On Two” and they also come in black. They’re really comfortable to walk in and go with so many outfits in my wardrobe. Check out their website for more unique style footwear and use code “KARIJANE” to receive 20% off your purchase of any shoes! 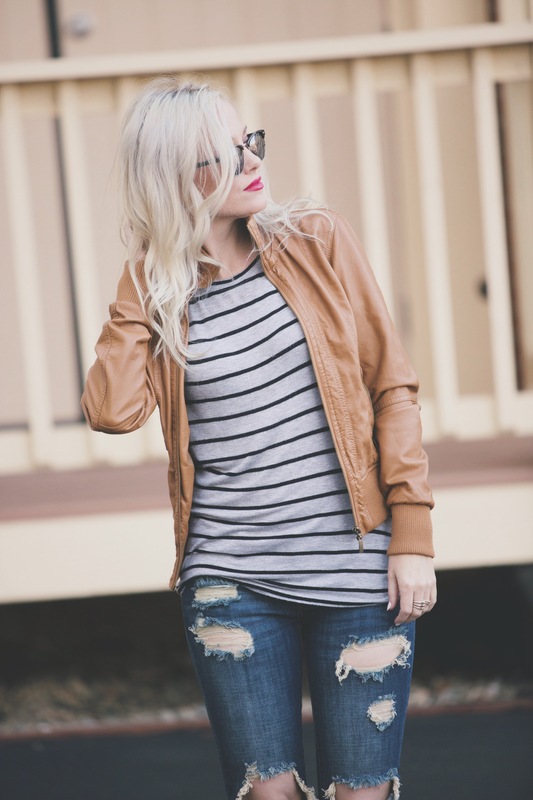 I styled my wedges with my newest pair of ripped jeans from Styles For Less and my old striped tee and faux leather jacket from Forever 21. Hope everyone is having a lovely fall season! 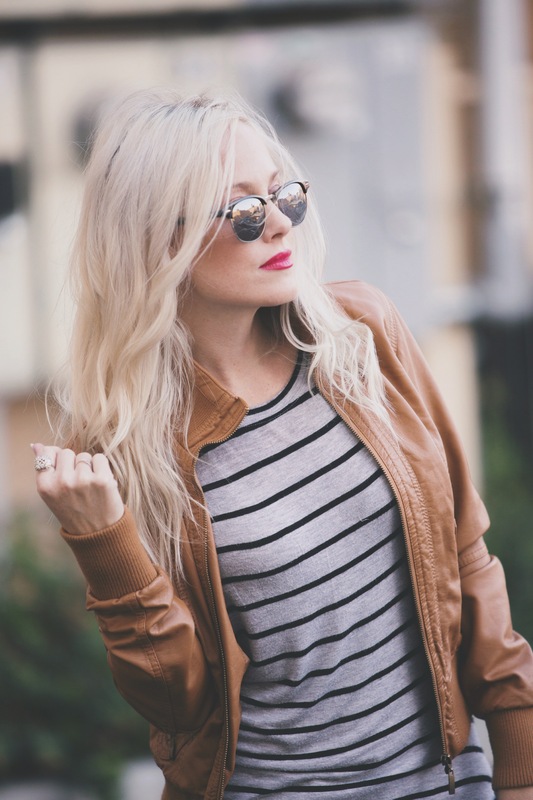 So glad I stumbled upon your blog today; LOVING YOUR STYLE!